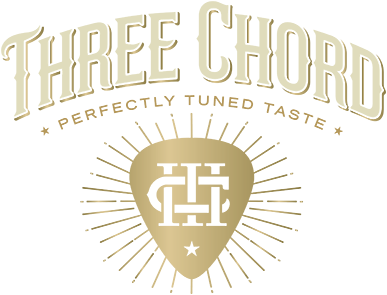 The Three Chord team of expert blenders, coopers and sensory professionals have developed a multi-step process we call “Perfectly Tuned Taste.” Our process begins by carefully selecting the finest bourbon and rye whiskeys from stocks in Kentucky, Tennessee, and Indiana. Once the blend of spirits is assembled, we apply our proprietary process of pyrolysis — heating American oak to precise temperatures to release specific flavor and aroma compounds — and rhythmic disruption to integrate these compounds into the blended spirit. Finally, each small batch blend of Three Chord is evaluated by a trained sensory panel to ensure an uncommon depth of flavor, aroma, and character in each bottle. Our Master Distiller has years of experience and worked with our team to create this unique blended bourbon. He started with 3 years of winemaking in France, then years heading up an Artisan Distilling Program. He’s worked with 15 new distilleries across the nation and has won several awards for his new creations including a “Top Ten Spirits” award in Wine and Spirits Magazine.